I honestly can't find a single fault with this book. The beautiful yet simple story of August, a young boy with facial disfigurement, and his first encounter with the dreaded 'school'. 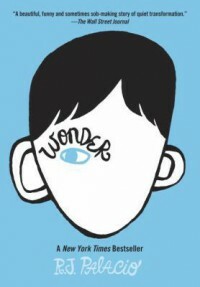 Told from the perspectives of himself, sister, friends and a few parents' passive aggressive emails, Wonder really is a touching novel. And I don't think I've ever said that before..!